I wish I could have gotten a better photo of what I consider to be a magnificent building, but the lighting and shadows were against me, as was a bit of sidewalk shed protecting pedestrians from falling debris generated by renovation work on the building at the corner of Court and Remsen. “Magnificent?” I know some readers are thinking. “That old pile?” Old it is, completed in 1887. It was designed by Parfitt & Parfitt, two English brothers who also gave us the Montague and the Grosvenor, on Montague Street. I’ll also confess that I have a love for Victorian Romanesque architecture, of which I think this is a fine example. In 2012, its history was related as a Brownstoner Building of the Day. As for its recent history, when I arrived in the Heights in 1983 it was the National Headquarters of the NAACP. After the NAACP departed for Baltimore, the building was taken over by the Little Flower Children’s Services. Then it became vacant, and has remained so for some years. I kept hoping St. Francis College, its next door neighbor to the west, would find some use for it. 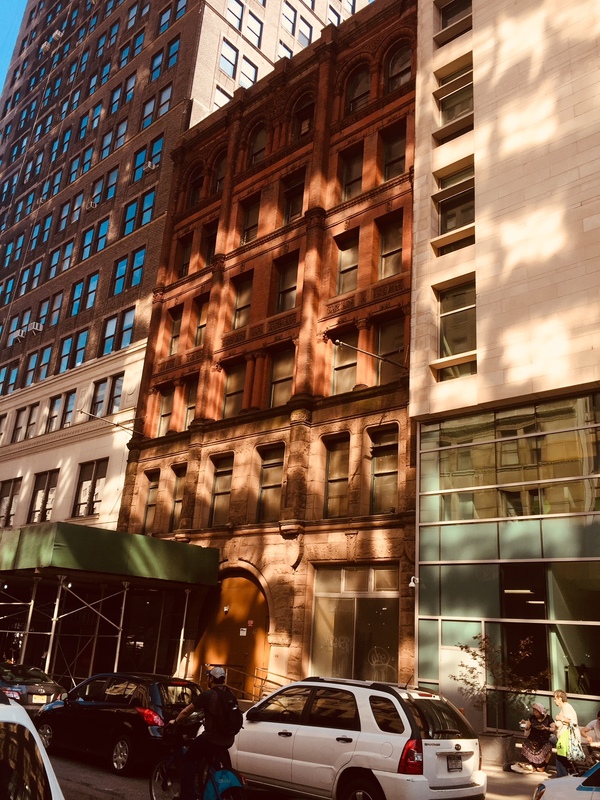 Now, according to this New York YIMBY post, it’s been acquired by Upventures LLC, who have filed plans for a fourteen story hotel on the site. The plans do not contemplate keeping the existing building and adding to it, but demolition plans have not yet been filed. 186 Remsen, which is between Court and Clinton streets, is outside the Heights Historic District, but it is inside the Borough Hall Skyscraper Historic District, which means that any plan to demolish 186 Remsen would need approval of the City’s Landmarks Preservation Commission. How in god’s name do the owners think that Landmarks is going to let them tear down this beautiful building to build a generic glass box? I know Landmarks has its flaws but I can’t imagine them making such a boneheaded move. And while the Skyscraper District may not have as strong an advocate as the BHA, I’m sure the BHA will be quite loud about this AS even though it’s technically outside our historic district, it’s certainly inside our neighborhood. Losing this building would be a travesty of the landmarking process. It’s the oldest building in the district after Borough Hall. 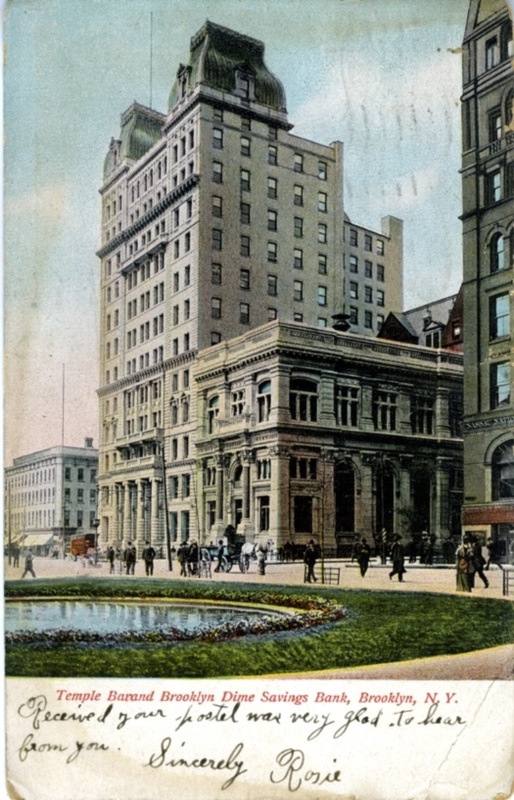 It would be loss on the scale of the demolished Brooklyn Savings Bank on Pierrepont, and the Hotel Margaret, both still eulogized by tour guides and guidebooks. The style, Richardsonian Romanesque, is the first truely American architectural style, and such buildings should be saved and celebrated. I don’t claim to know the ways of the hotel industry but I could imagine this building becoming a nice “boutique” hotel with high ceilings and great airy spaces. But that would mean real estate developers having an interest in preserving what’s special about a neighborhood, as opposed to making a quick buck. I’ll be eager to see how Landmarks and the BHA respond. Claude, where do you read “[t]he plans do not contemplate keeping the existing building and adding to it”? As far as I can tell, no plans have been released at all. Much more likely is that they plan an addition on top. A hard sell to be sure (given landmark status), but a far cry from demolition. I’d rather see a new building that is utilized/occupied than an old classic building with a “for sale” sign that sits abandoned year after year. Anyone have pictures of that building, I cannot recall what it looked like.